Clarice Assad is quite simply a phenomenon who has streaked across the world’s musical landscape like one of those comets that appears just once in a lifetime. 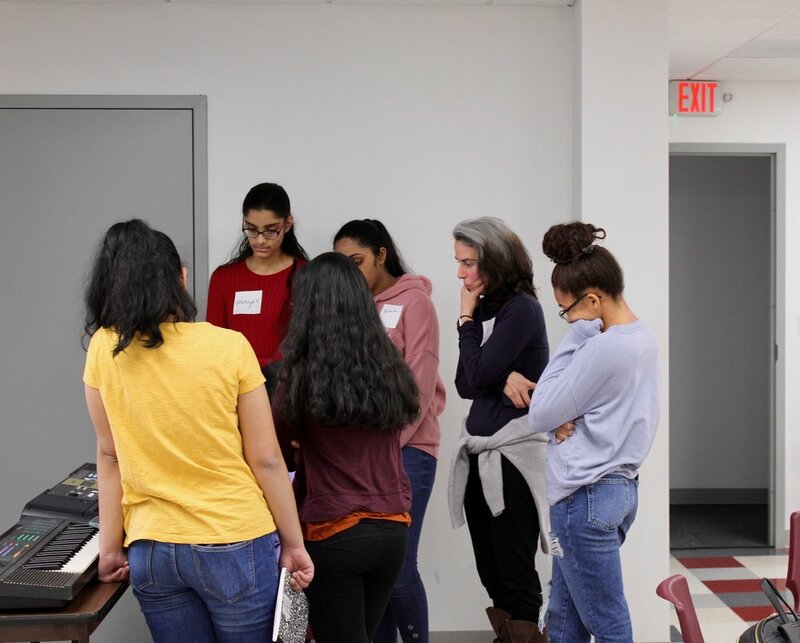 Today, the Albany Symphony was thrilled to welcome Clarice Assad back to Albany who is working on her newest project with high school students from Girls, Inc. to create an original, collaborative composition. This morning, the students began by analyzing Sojourner Truth’s “Ain’t I a Woman” speech from the 1851 Women’s Convention in Akron, Ohio. They discussed how society’s perception of women has changed throughout history and how it influences girls’ lives today. Afterwards, Clarice and the girls worked together to construct the foundation of their new piece with inspiring lyrics, compelling spoken word, and beautiful melodies. This world premiere will be presented in June during the Albany Symphony’s 2019 American Music Festival! 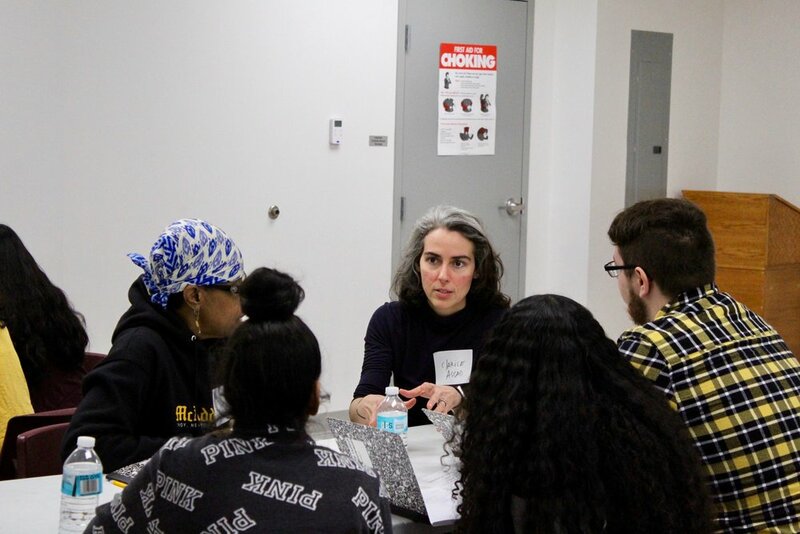 A passionate educator, in 2015 Ms. Assad founded VOXploration, an award-winning, trailblazing program which presents a creative, fun, and accessible approach to music education through meaningful, interactive experiences. In an era where digital interaction is part of the daily routine, participants utilize their bodies and voices as musical instruments in spontaneous music creation, songwriting and improvisation in a class which combines music, theater, technology and countless other creative approaches tailored to enhance human interactivity. Carefully curated to work equally well with participants of any age who have little music education or those having musical backgrounds, VOXploration has received grants and awards from Brazilian foundations such as CAIXA CULTURAL and SESC, as well as American grants from New Music USA and the McKnight Foundation. Ms. Assad has given masterclasses, residencies and workshops throughout the United States, Europe and Middle East, including at the Juilliard School of Music, the Aarhus Conservatory of Music, Columbia College of Chicago, the University of Michigan, Pratt University, the University of Texas and the Royal Conservatory of Brussels. To learn more about Clarice Assad, visit her website. You can also check her out on YouTube, Facebook, Instagram, Twitter, SoundCloud, and Vimeo.